Dishwashers have become much more sophisticated over recent years and many now pack in a whole raft of clever features designed to improve performance, safety etc. Below we’ll outline the main features you’ll find on modern machines, explain what each does and whether or not you should care whether you have them or not. Whilst this may not be the most exciting feature as, in an ideal world you’ll never actually use it, we’re sure you’ll agree this could be very useful. Machines equipped with this technology can detect small ruptures in pipes etc that could lead to water leaking from the machine and will then cut off the water supply to the appliance until the problem is rectified. If you have no experience of dealing with flooding you may think a little water in the kitchen wouldn’t be a big deal but, trust us on this one, it really can be a very big deal indeed. Imagine if you were on holiday for a couple of weeks and one of you appliances sprung a leak. By the time you return you could find every carpet in your house ruined, every room needing to be redecorated, your kitchen units all needing to be replaced. You get the picture. So, whilst not all machines offer this, we strongly recommend buying one that does if you can. Click here to see a list of the machines we’ve reviewed which offer this feature. Active oxygen is a feature that is more commonly found in refrigerators, but it is starting to get used in dishwashers. This is a feature that is used to reduce odours inside the dishwasher. The machine will come equipped with a device that releases a small amount of ozone into the dishwasher to kill bacteria that causes unpleasant odours. A control lock is a feature that turns off the control panel on the dishwasher. Either the machine will have a control lock button or the user will have to hold down two buttons at the same time to activate and deactivate the control lock feature. This is good for preventing the possibility of the machine turning on when someone accidentally bumps into it, and to prevent children from turning the machine on. This is a safety feature that you will find on many dishwashers. Most machines will just have a latch that keeps the door closed, but a childproof lock is an additional mechanism that makes the machine more difficult to open. This can protect children from some of the dangers that a running dishwasher may pose, and it can prevent any unwanted adjustments when the machine is in operation. Most Dishwashers are cold fill only. This means that you connect the machine to the cold water supply in the home. 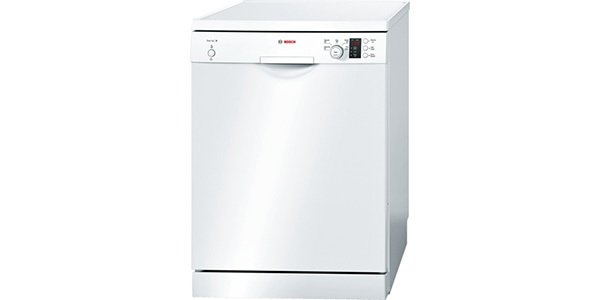 Some machines do have the option of connecting to the hot water supply, and this can reduce the amount of electricity used by the dishwasher. Miele is one brand that has a wide range of machines that can be connected to the hot or cold water supply. Not everyone wants to start their dishwasher right away. Some people might want the machine to run when they are away at work, others may want to let the machine run at night to take advantage of lower energy costs. To allow for these options, you can find many dishwashers that have delayed start timers. The user can select the program and options for the cycle, and instead of hitting the start button, they can use the delay timer to select the time that they want the machine to run. Not all delay timers are the same. Some run on a full 24-hour clock, others might allow for up to 19 hours of delay, and there are some that will have options for starting in 3, 6 or 9 hours. 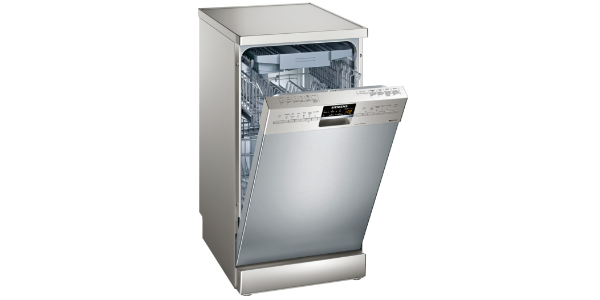 One of the most common complaints that people will have concerning their dishwasher is that the dishes are still wet when the machine stops. Different dishwashers use different methods for drying the dishes. Some of the most common methods are fan drying and residual heat drying. A newer and more efficient method that you find from some brands is the use of zeolite crystals for drying. These crystals absorb moisture, and as they do so, they emit heat. A display on a dishwasher can be useful for a number of different reasons. It can show the amount of time that it will take a cycle to run, and it can provide a countdown timer that runs as the machine is in operation. In addition to that, it can provide a wide range of feedback to the user. It can tell you what stage of the cycle the machine is in, the features and program that you have selected, whether you need to refill rinse aid or salt and more. The use of an LED display is probably the most common for modern dishwashers, but you will also find some that are LCD. Some of the newer and more expensive machines may even have a display that comes with some touch controls. 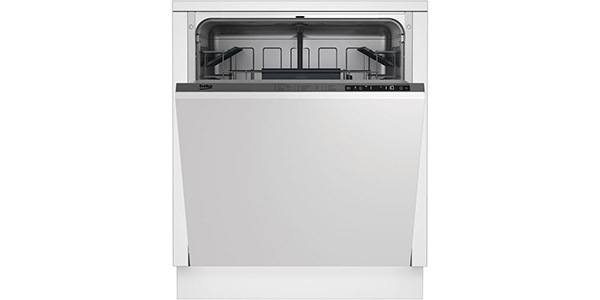 With integrated dishwashers, the controls and display are on the top of the door. With this, the display might be helpful for providing certain types of feedback, but it does nothing for letting you know when the machine is done running or for providing a countdown timer. To address this issue, some manufacturers have come up with the InfoLight or TimeLight features. With the InfoLight, the machine will project a dot of light on the floor when it is running. When the light goes out, the user knows that the cycle is finished. With the TimeLight, the dishwasher projects a countdown clock on the floor. Just like reading it off the front display of a freestanding machine, you can use the TimeLight to know how much time is left in the cycle. Dishwasher manufacturers will use various water management systems to achieve the highest levels of water efficiency, while also maintaining the quality of the cleaning results. Most of these systems will use a range of technologies to manage the water usage. Some of these technologies include sensors to detect load size, optical sensors to detect soiling, high-efficiency pumps, more efficient heating elements and more accurate or improved spray arm design. One of the more effective and better known of these water management systems is the ActiveWater system from Bosch. 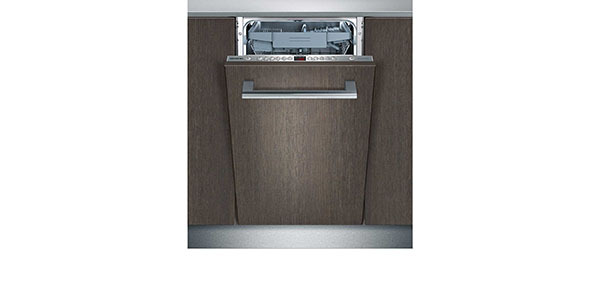 With a dishwasher that has an auto or sensor wash setting, the machine uses an array of sensors to manage operation during the wash process. With these sensors, the machine will measure and monitor the amount of soiling in the drain water to determine the amount of water needed, the water temperature and the amount of time needed for the wash and rinse stages of the cycle. Some machines will have a single sensor wash setting that is used to replace the normal or main program, and others may have a few sensor wash settings. In addition to a sensor wash for most of your normal tasks, some dishwashers will also have auto settings for things like intensive and gentle. With zone wash, you can add an intensive wash to one of the baskets. This allows the user to load heavily soiled items in the same load as dishes that are a little more delicate. When the zone wash function is turned on, it will apply a higher temperature or stronger spray to the items in the selected zone, while maintaining a standard wash setting for the other parts of the dishwasher. For most machines that have this feature, the zone wash will only apply to the bottom basket. However, there are some machines where you can select the zone that is to get the intensive wash.
To increase the effectiveness of the detergent, some machines will use systems that help to ensure that it is completely dissolved before mixing in with the wash water. This not only provides better cleaning results, but it also helps to reduce the possibility of detergent residue being left on the dishes. One popular brand feature for detergent use is the Bosch DosageAssist system. 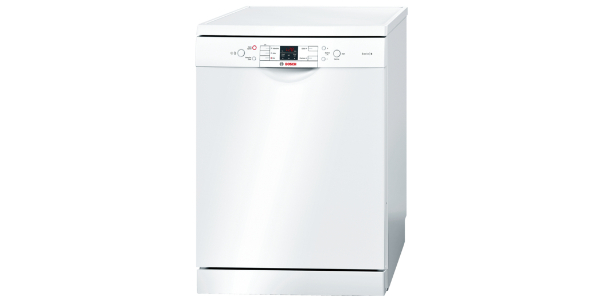 With new standards for water and energy efficiency, the cycles on newer dishwashers take longer to run. It is not uncommon to find machines that have a normal cycle that takes more than two hours to finish, and if the machine has an eco cycle, it can take well over three hours to get your dishes clean. 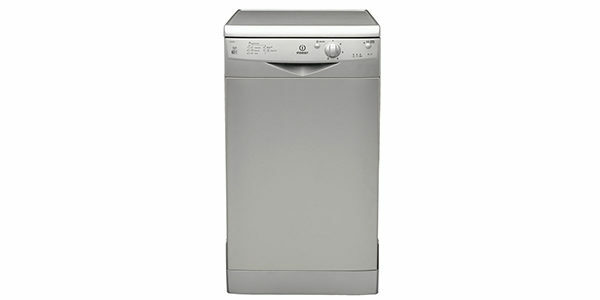 When people upgrade to a new dishwasher, they are often dissatisfied to find that the cycles take twice as long to run. To get around this, many manufacturers will equip their machines with a time saver feature. This option can considerably reduce the amount of time it takes a cycle to run, but it will also cost you more in electricity and water use. Some machines will come with a feature or program for hygienic or anti-bacterial washing. The standard settings on a washer may remove all of the food and grime from your dishes, but it can leave small amounts of bacteria behind. With a hygienic wash, the dishwasher will use a high-temperature rinse to kill any bacteria that may be left after the dishes are washed. In some machines, it may be a specific program option that can be used, and in others, it is an optional feature that can be added to some of the programs. With 3-in-1 tablets, you have dishwasher tablets that include detergent, rinse aid and salt. On some machines, you will have to make adjustments to the rinse aid and salt dispensers to compensate for the tablets. With some of the modern machines, they have features that save you this trouble. Some models may have a 3-in-1 or tablet button that you can use, but there are other dishwashers that can automatically detect when you are using this type of detergent. It means that you can automatically switch back and forth from the tablets and regular detergent without having to make any serious adjustments to the machine. 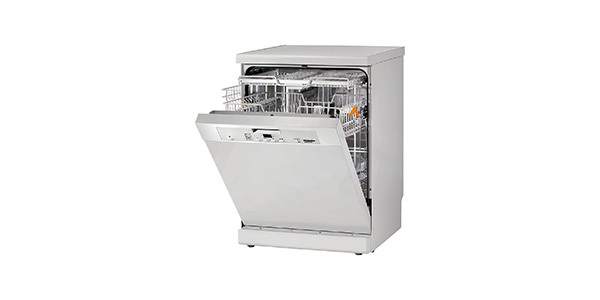 Dishwasher Buying Guide – For tips and advice when buying a new dishwasher check out our Buying Guide here.